-Registered as an Education provider from the State Board of Behavioral Sciences, California. to build 'Best-Practice' Coaching Programs..
-Scientific Validation. Practical Application in the Workplace. Global business performance is critically dependent upon individuals' abilities to manage themselves, their behavior and their relationships with others successfully. One of the most significant business advances in the last decade has been the demonstrated success of the behavioral sciences to predict business success. Dr Skiffington's Institute is the world's leading developer of leadership technology and best practices that enable dramatic, sustained and measurable improvements in leadership performance. In the past, global leaders were simply those individuals sent abroad on foreign assignments. However, today it can be any manager or executive, anywhere in an organisation - people in accounts, sales, marketing as well as production and support staff. It can mean different things for different organisations. It could be a representative office abroad or the acquisition of a foreign company or a joint venture etc. The possibilities are almost endless. - is not the same as management development for senior people. - has little to do with technical knowledge and is more about thinking, values and emotions. rather the space that leaders function in. Bottom line: many leadership development programs do not deliver and are a waste of money. The traditional classroom training event fails to deliver any sustainable change and learning acquisition. Behavioral-based leadership coaching produces clear statistical evidence of real change and a beneficial outcome (ROI). 1) Traditional Eurocentric leadership development models may not be effective in working with other populations, and indeed, may do harm by mislabelling or misdiagnosing problems and issues. 2) Assessment. Multiculturally sensitive practitioners are encouraged to validity issues related to test bias, test fairness, and cultural equivalence. 3) Cross culturally sensitive practitioners/coaches are encouraged to develop skills and practices that are attuned to the unique worldview and cultural backgrounds of leaders/executives by striving to incorporate understanding of the individual’s ethnic, linguistic, racial, and cultural background into their leadership development model. Whether for job effectiveness, career development, or for personal growth, it is no longer enough for professionals to be culturally "aware" that differences exist. They must develop their own set of behavioral competencies enabling them to take appropriate actions in a different cultural context. Cultural behavioral-based competency skills coaching does not require the individual abandoning their traditional values and norms, rather it enables the person to better relate to others and promote successful intercultural outcomes. The dynamics of being a successful Global Leader requires a skill set of critical core competencies that differ considerably from the domestic leader. These "global behavioral competencies" enable leaders to manage a wide range of challenges, including: distance management issues, how to lead a diverse multinational team, implementation of new initiatives, and seamless integration of different teams and organizations etc. Too many globally leadership learning interventions fail to stand the test of time and the physical and psychological pressures of 'the real world'. To change/learn, global leaders need to embed new insights into deeper, often automatic, thinking processes. This requires them to attend to how they think as well as what they think. To change, leaders need to turn thought into action. Without clear practical steps for doing this, and practice, old habits soon reassert themselves. As leaders engage with new learning we also need to ask them to listen to their emotions and look at their attitudes, beliefs and values. Recent studies have revealed the greatest challenge to any organization is to change a leader's behavior. It is in response to this demand that the behavioral-based coaching model was developed by Dr Skiffington. All global leadership coaches do not have to be psychologists. However, coaching is change and change is a psychological process. Successful, global leadership developers need to understand, be confident and competent in the psychological aspects of leadership coaching and a master in the use of a range of behavioral change techniques. To do so requires personalized training and supervision by an appropriately trained clinician and experienced practitioner in the use and mastery of psychological-based tools that bring about genuine, lasting, measurable results. -All people and systems are dynamic -changing throughout time. For people to grow they have to do different things, change certain habits and that means a change in their behavior. Without that nothing changes. Traditional leadership development models typically focus on extrinsic motivational factors, such as demands of the workplace and performance rewards. Behavioral-based leadership coaching explores the individual's values and works on the premise that real motivation and change are situated in the individual's intrinsic motivation. The Behavioral-Based Leadership Model of learning is a basic, validated platform of practice informed by the behavioral sciences as regards the laws of change and learning and incorporates best practices from a range of disciplines. The seven step process (client education, data collection, planning, behavioral change, measurement, evaluation and maintenance), the four different stages of change in the coaching process and the five forms of coaching (coaching education, skills coaching, rehearsal coaching, performance coaching and self-coaching) form the basis of the model. This flexible, easily learnt model is then tailored by the leadership coach to fit the specific needs of the coachee. Global Leadership Coaching contrasts to the traditional training approach where global skills development tends to be "prescribed". Global leadership coaching takes a tailored, personal approach to providing an individual with the necessary personal skills and change tools to develop themselves and others around them. Using coaching models, tools and techniques (that have scientific reliability and validity) the certified coach assists individuals to develop behavioral competencies and remove blocks to achieve valuable and sustainable changes in their professional and personal life. The world's most successful global organizations all understand the need to heavily invest in proven ways to foster and keep their global skills talent. It was the legendary CEO Jack Welch who said: "The real challenge is to globalize the mind of the organization. Until an organization captures the intellects of other areas, it really does have a problem. Until you globalize intellect, you have not really globalized the company". Global leadership coaching is first employed in the construction of leadership programs to assist executives who are confronting the major organizational (and often cultural) change and restructuring that normally accompanies global market entry. Secondly, global leadership coaching is used in the development of global skills development programs for staff who have an existing international brief. Global leadership coaching is now recognized as the crucial learning and change vehicle for any organization that has a commitment to global skills development. It is also crucial for providing individuals and groups with the necessary encouragement and support when learning how to become more effective in their day-to-day global roles. Cultural and business blind spots are an everyday fact of global business life. This challenging environment can result in culture shock, fear, fatigue, anxiety, stress, under-performance, self-doubt and lack of confidence. In these situations, the global leadership coach works on-site as a personal mentor to help individuals and work teams meet their daily challenges and reach their goals. This coaching role can be provided by local managers and leaders who have been trained as coaches and/or specialist cultural coaches/mentors who visit the organizations regional offices to provide requisite on-site, 1-to-1 support and guidance to senior management. assumptions and beliefs shared by team members that affects their business goals. -(our parent organization) is internationally recognized as the leader in building the next generation of leadership development coaching models and tools. The Institute is an international educational and research institution founded in 1990 that is focused exclusively on the continuous development of the coaching model to achieve sustainable personal and organizational change and learning. The Institute is recognized across the globe for the depth and quality of its courses, coaching technology and publications. The Institute is consistently ranked the top provider of business coaching education in the world. The Behavioral Research Laboratory is the research arm of the Institute's Center of Applied Behavioral Coaching (CABC). Dr Skiffington heads a team engaged in ongoing research to develop data, knowledge and expertise in leadership development. The research not only continually advances the quality of our world-best standard global leadership coach course but also the follow-on support provided to our graduate coaches. Research findings are also published in our publications by McGraw-Hill Education (New York). Dr Skiffington aims to establish a personal, strategic partnership with each of her clients. The personalized, hands-on approach combined with the depth of our resources means that we are also able to respond quickly and easily to changes in corporate priorities. Dr Skiffington understands that one size does not fit all, and is genuinely able to create a customized program to fit each client’s particular needs. Our focus is on measurable changes in behavior that lead to significant business results. Our Institute's processes and pricing structures reflect these objectives. -has personally facilitated customized leadership coach training programs for hundreds of major corporations and government agencies. She has worked with CEOs, HR,L & D leaders, Senior Management and their management teams in such companies as; Daimler Chrysler, Toyota, Lloyds Bank, Vodafone, Saatchi and Saatchi (New York), Sony Corporation, Pfizer, Mt Sinai Hospital and The Bank of New York etc*. Her clients also include not-for-profits (such as the Red Cross, government agencies e.g; the Education Department and Dept. of Defence). Dr Skiffington's highly valued work as an international corporate educator is well documented in many journal articles and case studies as well as her own best selling coaching text books (sold in multiple languages around the world). University of W.I., -Centre of Mgt. Development. US Fish & Wildlife Services. Your team is a busy group of professionals involved in leadership development and doesn't have time to spend on things that don't work. You've probably tried different leadership and executive coaching courses over the years, but most of what you found was basic stuff that oversimplifies human behavior, personality, motivation and learning. Learning for your group must be supported by evidence, have a scientific basis that isn't theoretical and doesn't require lengthy training, be accessible, provide a solid expandable platform and it must be cost-effective. Dr Skiffington's Graduate Institute is a private, international, accredited educational institution that offers courses by invitation only. The few available course dates each year are strictly limited to qualified, progressive oriented, learning organizations. Certification by Dr Skiffington is the highest level of evidence-based, leadership coach training available. Clarity. Accelerated, shorter learning. World best standard. Practical application. positive difference to the people they interact with and the bottom-line. -for selected persons invited to participate in a Master Coach Course. We stress experiential, hands-on, applied learning. - we believe you must use the skills to own them..
Action, accelerated learning is a guiding principle for the course. Our approach does not involve simply attending a workshop, however interactive. With one-to-one guidance provided by Dr Skiffington, the participant explores the use of the latest valid coaching technology and practices. The personal involvement of participants is a foundation stone of the programme. Working with Dr Skiffington and their peers: they are enrolled in role plays, discussing case studies and open reflection and debate on how the examined change interventions can be best used with their leaders. .- First, learn how to select the right leadership coaching techniques and tools (that have scientific reliability and validity) for you. - Secondly, engage in a suite of role plays (relevant to your working environment) throughout the "hands-on" course applying the skills learned to increase the success of organizational interventions and to create breakthrough leadership thinking and actions..
use the language of global leadership coaching at a "real-world", professional best-practice level. Course Participants are taught how to use the course's Step-by-Step Coaching Program Templates/solutions -to develop their own 'world-best standard' professional development program for: a) leaders being groomed to become global leaders, b) existing executive leaders who want to move to their 'next-development-level' and, c) leaders who are in immediate need of critical self-management techniques or other personal skills sets. Exercises and case studies are analyzed and related to the participants' particular workplace needs. With the learning templates and the guidance of Dr Skiffington, participants learn how to develop programs that specifically relate to their professional development needs. the "hands-on" course and the extensive library of manuals, resources and toolkit provided to each graduate. -Thus, global leadership development requires yet another approach--one that focuses on the behavioral change and sustainable learning models and cultural assumptions that guide action. 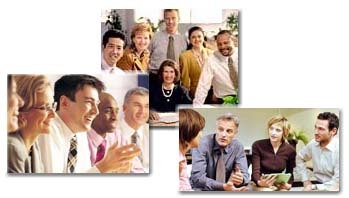 The 3 highest-rated factors (CPC Foundation/Rand Corporation Report) for developing successful global leaders -are not addressed by the traditional global managerial & leadership skills training courses which focus on the technical skills such as; cultural profiling, cross-cultural business practices (communication styles, negotiating, making presentations and business & social etiquette) etc. Training in first level cultural technical/hard skills is only one step in the development process of producing successful global leaders. However, the 3 highest-rated critical factors for success are behavioral-based personal/soft skills -such as; cognitive skills, personal traits, and social skills. Global leaders are required to understand and analyze the impact of the local culture on their team and organization. They should also lead the way in influencing necessary change within their institutions. To cope effectively global managers need to continuously revise their images of self, role, and organization, so that attitudes and behavior are modified accordingly. Being an effective global leader therefore demands enhancing both cognitive and affective skills to make a difference. A global leader must earn the trust of the group, work with them, and take the time to build self-worth. Leaders are expected to be nurturers, coaches, and mentors who work with followers to ensure success. The best global leaders have not only been taught how to self-coach but how to coach those around them. They are aware of their self and the behaviour necessary to empower people to take action, to solve problems, and to voice their ideas. Being our best self requires reflecting on an accurate view of our self and our relationships with others and the world around us. It is complex and thoughtful process that is challenging and demanding and best guided by a specialist trained master coach. Self-awareness is assessing the ground (justification) of one's beliefs and values. Reflective practice requires examination of prejudices, distortions, and prior learning to examine if what was learned is justified in today's world. The behaviors and attitudes are shaped by the images, assumptions, and stories that are carried in our minds -they are mental models that are often untested and unexamined. Reflective practice with a trained Master Coach is an interactive, collaborative process. Competent leaders work with their specialist developmental coaches to do the hard work of examining their practice and the influence that their behavioral aspects have on their decisions. The world is created by what individuals choose to notice and what makes sense to each person. No two persons see the world in the same way. professional, organizational, and national cultures. Behavioral-based coaching equips Global Leaders not only to be successful change agents for themselves but also for those diverse group of people they lead and relate to in the global village/economy. a specific professional or personal skill set to be enhanced. 2) The ability to translate behavioral feedback into an action plan. the organizational and cultural context in which the leader operates. -Best World Practice, Best Industry Practice, Best Practice Assessment. Case-study analysis: -best-practice initiatives conducted by the top industry leaders and practitioners are analyzed. What do they do that sets them apart? How do they deliver the results? What impact has it had on their people and business performance? How do they stay on the "learning edge"? "How to apply the practices that best apply to you." Note: the following content is an overview of the specialist workshop. to reach the highest level of understanding and development in the shortest time. developments programs at the highest level in international business and government affairs. Our select participants obtain a set of up-to-the-minute, cutting edge, comprehensive resource manuals that are meant to be used as an ongoing learning program/library of information beyond the course. Students are also provided and shown how to use actual Templates, check sheets, forms, and procedures developed over several years by some of the world’s leading coaching practitioners who work with Dr Skiffington. Graduates can customize and re-brand these valuable tools, techniques and templates to build a solid 'world best-standard' structure for their own global leadership development programs. path for continued learning for each graduate. A priceless Master Coach Template Toolkit..
-which forms the core of the critically important Coaching Practice System for the global leadership development coach. This invaluable Toolkit (on disc) contains free leadership program coaching forms, reports, assessment instruments and other coaching materials, tools, models and STEP-BY STEP PROGRAM TEMPLATES -all of which the graduate can re-brand and personalize. The cost of the instruments alone would be at least $3000 in total. These invaluable workplace tools are now included, at no extra cost, in the customized course. Our course is the only international coach training program that provides personal instruction in how-to-use the necessary validated tools for obtaining and measuring lasting behavioral coaching outcomes and producing a ROI scorecard. - identify direct bottom-line program effects and flow-on intangible benefits etc..
the uses, benefits and timing of various instruments. Our select students are also provided and shown how to use actual check sheets, forms, and procedures developed over several years by some of the world’s the top leadership coaching practitioners who work with Dr Skiffington. Graduates can customize and re-brand these valuable coaching tools, techniques and templates to build a solid structure for their own programs. "Stay ahead of your field"
Leadership coaching has little resemblance to the fuzzy 'model' promoted by the large online course marketers, many regional providers and commercially oriented "international coaching" associations. Dr Skiffington (acknowledged as one of the world's leading authorities in leadership/executive coaching), for over a decade, has been teaching, developing and delivering proven behavioral-based coaching practices that are replicable and codifiable.These "world-best" standard practices and business models have validity of use because of their known, measurable, sustainable success. By working with hundreds of American, UK , Australian, European and Asian organizations, Dr Skiffington understands the unique organizational coaching challenges and support requirements faced by our corporate, government and private clients. Equally, as one the world's leading researchers and developers of leadership development technology and after training and certifying over 1,000 coaches from over 30 countries, Dr Skiffington (as a long-term practitioner herself) intimately understands the personal and technical needs and ongoing support necessary for leader developers to achieve continued success. Dr Skiffington's long-term experience clearly shows that you will significantly enhance your program's success factor and simultaneously lower your overall development costs with the right 'technical and intellectual support'. Because Dr Skiffington, is literally, only able work with a small number of select clients we are able to customize their Support Program to meet their changing requirements and provide 'need-to', personalized support at the highest level. To help your fast track your group's learning -we have provided an early commencement/study date. This way, each participant is not restricted to commencing their studies on just the first day of the intensive course. To: a) optimize available workshop time and, b) reduce the amount of reading and 'home-work' (in the evenings of the course) --advance preparation is provided to all participants. The pre-work also helps participants further define their specific agenda for the tailored-fitted course. This preparation ensures that participants are having their needs met from the first hour of day one of the short course. All Pre-Work materials are given to a successful applicant upon enrolment and are required to be completed prior to attending the course. Pre-work includes some preparatory reading and analysis and a self-administered Coaching Skills Profile/Questionnaire and Checklist. These materials are confidential and you will not be asked to share them with others. 2) Accessing the Pre-Course Online Learning Portal and be also guided by Dr Skiffington (as your personal study mentor, 1-to-1 via telephone. Cost $295/£UK165 for 1 session). By having Dr Skiffington mentor/call you, you can also privately discuss your practice needs and establish a personal and working relationship in advance of the course. Note: Dr Skiffington has only a limited amount of mentoring time available for a small number of participants. Given: a) the rapid development of leadership coaching technology, b) that leadership developers are "resource" people, c) that global leadership is an emerging profession still defining its boundaries and, d) the increasingly varied nature of today's global village/economy -it is important for leadership development personnel to have a means to reflect on their coaching work with another experienced, senior, third party practitioner/mentor. Our support program not only provides a structured platform for continuing learning and development for the 'coach', but also reassures their employer with the knowledge that their 'coach' has the professional resource back-up of a respected, industry leader. Whatever the industry sector and region/marketplace you may be in, Dr Skiffington can help guide you to best find your right professional coaching roadmap. This optional, follow-on support service is personally provided by Dr. Skiffington and can involve multiple levels of agreed upon assistance and guidance such as: guidance on various case issues, program development, reference to further resources you may require regards a specific coaching intervention etc. This vitally important service/mentorship provided by Suzanne also ensures her long term commitment to your own professional development and long-term success. As a developer of, and author on coaching best-practices, Dr Skiffington works with some the world's leading corporate HR and L & D Managers/Directors in the form of an ongoing, co-learning, developmental partnership. However, all of her mentoring 'partners' receive equal access to her 'experience and knowledge base'. The Masters-level Course provides the specific templates, tools, techniques, coaching models etc. that you require in your day-to-day workplace. Whereas, this exclusive mentoring program provides the glue to creating foundational strength and resiliency. is a tangible way for you to show your own 'clients' that you are walking your own talk by being mentored/coached by Dr. Skiffington. 1to1 Mentoring -Medium and Frequency: The mentoring program is conducted via telephone (for up to 60 minutes or so) and by appointment -the graduate emails Dr Skiffington's office and establishes a mutually convenient appointment time. Dr Skiffington makes the calls. Frequency varies according to graduates need. Note: As Dr Skiffington's time is booked three to four months ahead -mentoring is booked and paid for as part of course enrolment. To discuss how the tailor-fitted course can best work for you -simply submit the online 'Registration of Interest Form'. c) confirm available course dates with Dr Skiffington (due to Dr Skiffington's busy corporate commitments to her existing clients only a very small number of dates are available each year). -subject to a mutually satisfactory outcome of the interview/application with Perry (and a favourable review of the interview notes by Dr Skiffington) -a formal 'Acceptance Letter' and an attached Invoice to train/work with her for a specific course date can be personally forwarded by Dr Skiffington to a successful applicant within 48 hours. A successful application for a course date is chosen not only on the group's relevant professional background/organizational experience but also their ability to successfully apply what is taught in the course. nominates the approximate number of qualified participants and provides the names when available. schedule/coaching commitments are booked months in advance. b) pay the course fee in full within 30 days of receiving the 'Acceptance Letter'. -for 6 (usual minimum) = $us3,950 per person. Note: -The cost of Dr Skiffington's airfare and living expenses are borne by her. class hotel accommodation for Dr Skiffington. >>> Contact us via our Registration of Interest Form and we will arrange for you to speak with our Course Registrar, Perry Zeus. - Click here to submit your REGISTRATION OF INTEREST FORM Now!